The BJP MLAs from Karnataka also said they were in Gurugram since Monday evening to devise strategies for the coming Lok Sabha polls, and not to avoid being "poached" by the ruling Congress-JDS alliance. 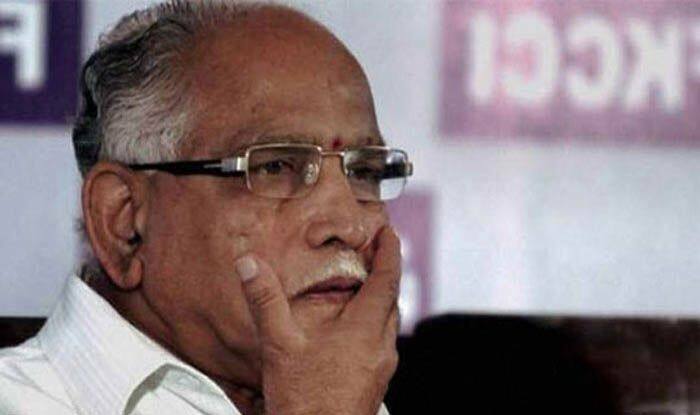 New Delhi: Bharatiya Janata Party (BJP) Karnataka State President and former Chief Minister BS Yeddyurappa on Saturday called back all BJP MLAs camping in Gurugram and asked ruling Congress-JD(S) coalition to not worry as they won’t destabilise the Karnataka government. The BJP MLAs from Karnataka also said they were in Gurugram since Monday evening to devise strategies for the coming Lok Sabha polls, and not to avoid being “poached” by the ruling Congress-JDS alliance. Earlier in the week, Yeddyurappa had alleged that Chief Minister HD Kumaraswamy was indulging in horse-trading by offering money and ministerial posts to BJP MLAs. “We are not indulging in any poaching. It is Chief Minister Kumaraswamy who is indulging in horse-trading. He himself is offering money and ministerial posts to our MLAs,” he had said. The charges of horse-trading were triggered after three Karnataka Congress MLAs visited Mumbai on Monday, reportedly along with some BJP MLAs. This was followed by the Congress’ allegation that the BJP was trying to poach the ruling party’s MLAs to destabilise the ruling coalition government in Karnataka. On Friday, Karnataka Congress had also shifted its MLAs to the Eagleton resort in the outskirts of Bengaluru after four dissident MLAs (Ramesh Jarkiholi, B Nagendra, Umesh Jadhav and Mahesh Kumathahalli) skipped the Congress Legislature Party (CLP) meeting, that was called as a ‘show of strength’ against an alleged bid by the BJP to topple the seven-month old HD Kumaraswamy-led Karnataka government. Defending the decision to shift the MLAs to a resort, CLP leader and former Karnataka CM alleged that PM Narendra Modi and BJP chief Amit Shah are leaving no stone unturned to topple the Karnataka government. Notably, the political drama Karnataka began after two independent MLAs in the Karnataka Assembly – R Shankar and H Nagesh – withdrew their support from the coalition government. In the 224-member Karnataka Assembly, BJP is the single largest party with 104 MLAs, JD(S) has 37 MLAs and the Congress 80. The majority figure is 113 MLAs.